Bidding is easy once you’ve registered with us. All of our first time bidders will need to provide photo ID in line with the Sale of Alcohol Act. Online auctions: On the auction site, simply click ‘Register to Bid’. First time bidders will be asked to ‘Create Account’ to get started. You will be guided through adding other necessary details. Once you have completed the form, you will receive an activation email containing a link. Click on the link to activate your new account, and login using your new details (it is possible that the activation email may end up in your ‘junk’ or ‘spam’ folder so please check if you think you haven’t received our notification). In the room: Our team will help you register when you enter the auction room. Phone or absentee bidding: Contact our team directly to help you register for the auction. Don’t leave it too late as arrangements for this serviced must be confirmed AT LEAST 24 HOURS PRIOR to the auction commencing. 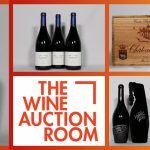 There’s a bit of stuff you need to know when you’re bidding at The Wine Auction Room. Here’s a snap shot but please read the Buyers Terms and Conditions prior to registering and bidding. We also answer some of the more frequently asked questions. Please contact us as viewing is by appointment only. 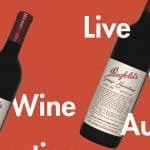 Goods are described as accurately as possible by The Wine Auction Room at the time, however Buyers of older wine must make appropriate allowances for natural variations of ullage and the condition of corks and labels. The Wine Auction Room has made every effort to describe any bottle that is not in excellent condition. Each Lot is sold by the Vendor with all faults and defects (if any) and with all errors of description and shall be at the Buyer’s risk on the fall of the hammer. Neither The Wine Auction Room nor the Vendor shall be accountable for any deficiency, damage or loss which may arise thereafter. Please refer to The Terms and Conditions For Buyers. The Terms and Conditions For Buyers can also be viewed in The Wine Auction Room’s sale room. All bids and price estimates are per bottle (excepting sets, where noted), not per lot. For example, if you make a bid of $10 per bottle on a lot containing 12 bottles you are making a total bid of $120. All prices are in New Zealand dollars. Successful buyers shall pay to The Wine Auction Room a Buyer’s Premium of 17.5% of the hammer price plus GST on the premium. Bidding is per bottle and you must take the entire lot on offer unless the auctioneer states otherwise. All wines are checked prior to consignment. Phone bidding is by prior arrangement. Absentee bidding is available for registered bidders. Payment can be made by Cash, Bank Cheque, Credit Card, EFTPOS or Money Transfer. We accept Visa and MasterCard for all wine purchases with an additional 3% applied. 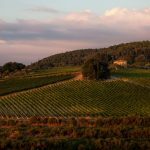 Payment must be cleared prior to collection of wine and is due five days after the completion of the auction at the latest. This includes buyers present on auction night, and absentee or phone bidders. Wine is stored separately to our office. To collect your purchases from The Wine Auction Room, please contact the team at least 24 hours prior to your preferred collection time. For a curated list of interesting rare and fine wines contact us today.